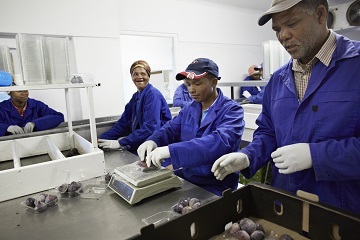 South African workers and employers enjoy many rights, thanks to the Basic Conditions of Employment Act. From leave days to the termination of your employment and more, here’s all you need to know about this Act. The Act applies to all workers and employers except members of the National Defence Force, National Intelligence Agency, South African Secret Service and unpaid volunteers working for charities. those doing emergency work are excluded from certain provisions. 45 hours in any week. 9 hours a day if a worker works 5 days or less a week. 8 hours a day if a worker works more than 5 days a week. Compressed work week: You may agree to work up to 12 hours a day without paid overtime. This agreement must be in writing. When working a compressed working week, workers can’t work more than 45 hours a week, 10 hours overtime or 5 days a week. Averaging: A collective agreement may allow your working hours to be averaged over a period of up to 4 months. Agreeing to this, a worker can’t work more than an average of 45 ordinary hours a week and 5 hours of overtime a week. 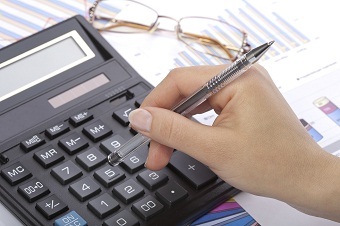 A collective agreement for averaging must be re-negotiated each year. If overtime is needed, you must agree to it and may not work for more than 12 hours a day or more than 10 hours overtime a week. Please note that a collective agreement can be made to increase this to 15 hours a week, but only for up to 2 months a year. Overtime must be paid at one-and-a-half (1.5) times of your normal hourly pay rate. You and your employer may also agree to paid time off instead of extra pay or a combination of time off and paid overtime. You must have a meal break of 60 minutes after 5 hours' work. A written agreement may lower this to 30 minutes and do away with the meal break if you work less than 6 hours a day. You must have a daily rest period of 12 continuous hours and a weekly rest period of 36 continuous hours. Unless otherwise agreed, this must include Sundays. If you sometimes work on a Sunday, you must get double pay. If you normally work on a Sunday, you must be paid one-and-a-half (1.5) times the normal wage. There may be an agreement for paid time off instead of overtime pay. Night work is unhealthy and can lead to accidents. If you work between 18:00 and 06:00 you must get extra pay (allowance) or be able to work fewer hours for the same amount of money. Transport must be available to the workers. If you usually work between 11pm and 6am, you must be told of the health and safety risks. You’re entitled to regular medical check-ups, paid for by your employer. You must be moved to a day shift if night work develops into a health problem. All medical examinations must be kept confidential. You must be paid if you work on a public holiday and you’re only allowed to work if you’ve agreed to. You can either get paid double your normal wage or negotiate time off work. You can take up to 21 continuous days' annual leave or, by agreement, 1 day for every 17 days worked or 1 hour for every 17 hours worked. Leave must be taken by no later than 6 months after the end of the annual leave cycle. You can only get paid for any leave outstanding when you leave the job. You can take up to 6 weeks' paid sick leave during a 36-month cycle. During the first 6 months of starting at a company, you can take 1 day's paid sick leave for every 26 days you’ve worked. An employer may want a medical certificate before paying you when you’re sick for more than 2 days at a time or more than twice in 8 weeks. If you’re pregnant, you can take up to 4 continuous months of maternity leave. 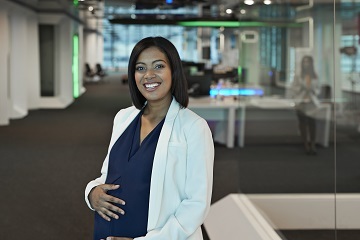 You can start your maternity leave any time from 4 weeks before the expected date of birth or on a date a doctor/midwife says is necessary for your health or that of your unborn child. You may work for 6 weeks after the birth of your child unless a doctor or midwife has advised you to. A pregnant or breastfeeding female worker isn’t allowed to perform work that’s dangerous to her or her child. When you return to work from maternity leave, you can ask your manager or supervisor for space where you can breastfeed or express milk. According to the Code of Good Practice on the protection of employees during pregnancy and after the birth of a child, arrangements should be made for you to have 2 breaks of 30 minutes per day for breastfeeding or expressing milk. This should be arranged for every working day for the first 6 months of your child's life. A toilet isn't a safe or hygienic space to express milk. Try to get a clean and private space for you to express milk or breastfeed. Fathers are entitled to 10 consecutive days paid paternity leave. This is applicable to fathers who adopt a child under 2 years old. This leave can be taken from the date that the adoption order is given or when the child is placed in the care of the adoptive parents. The employer should be notified in writing when the leave will be taken unless you’re unable to do so. or for the death of your spouse or life partner, parent, adoptive parent, grandparent, child, adopted child, grandchild or sibling. An employer may want reasonable proof of the birth, illness or death for which the leave was taken. Employers must give new workers information about their job and working conditions in writing. This includes all the terms of conditions of employment and a list of any other related documents. Minimum wage is the lowest wage that an employer should pay to a worker. As from the 1st of January 2019, no worker may be paid below the national minimum wage which is currently set at R20 an hour. Your minimum wage is determined by the sector you work in. To determine your minimum wage, click here. Date of birth for if you’re under 18 years old. Daily, weekly, every two weeks or monthly. In cash, cheque or direct deposit. The employer's name and address. The amount and purpose of any deduction made from the pay. The actual amount paid to you. Ordinary pay rate and overtime pay rate. The number of ordinary and overtime hours worked during that period of payment. The number of hours worked on a Sunday or public holiday during that period. The total number of ordinary and overtime hours worked in the period of averaging if there’s an averaging agreement. The deduction is required by law or permitted in terms of a law, collective agreement, court order or arbitration award. 1 week, if employed for 6 months or less. 2 weeks, if employed for more than 6 months but not more than one year. 4 weeks, if employed for 1 year or more. The notice must be in writing, except for a worker who can’t write. If you can’t write, you can give verbal notice. If you live in premises owned by your employer, you must be given 1 months’ notice to leave or be given another place to live until the contract is lawfully ended. Even if you’re given notice to leave the premises where you’re living, you can still challenge the dismissal using the Labour Relations Act or any other law. 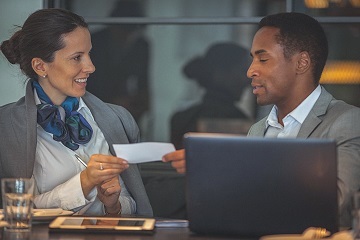 An employer must pay you if you’re dismissed due to retrenchment or restructuring, at least 1 week's severance pay for every year of continuous service. You’re not entitled to severance pay if you unreasonably refuse other employment with the same employer or with another employer. You must be given a certificate of service when you leave a job. It is against the law to employ a child under 15 years old. Children under 18 may not do dangerous work or work meant for an adult. It is against the law to force someone to work. Negatively affect workers’ health and safety, and family responsibilities. Lower annual leave to less than 2 weeks. Lower maternity leave in any way. Lower sick leave in any way. Lower the protection of night workers. Allow for any child labour or forced labour. Collective agreements and individual agreements must follow the Act. The Minister of Labour may decide to vary or exclude a basic condition of employment. Employers or employer organisations can also apply to do this. Special rules that still abide by this Act can be made for specific sectors to establish basic conditions for workers in a sector and area. This Act allows the Employment Conditions Commission to advise the Minister of Labour, Monitoring, Enforcement and Legal Proceedings. Advise workers and employers about their labour rights and obligations. Inspect, copy and remove records. Serve a compliance order by writing to the Director-General of the Department of Labour, who will then look at the facts and agree, change or cancel the order. This Act overrides any agreement or contract you may have signed with your employer or worker and it is important that you take note of the following key points. Try to prevent, block or influence a labour inspector or any other person obeying this Act. Get or try to get a document by stealing, lying or showing a false or forged document. Pretend to be a labour inspector or any other person obeying this Act. Refuse or fail to answer questions from a labour inspector or any other person obeying this Act. Refuse or fail to obey a labour inspector or any other person obeying this Act. If you need to make a complaint or have a question, contact the provincial Department of Labour office on 021 441 8000.